Time and time again, new solutions are sought to connect entertainment electronics with beautiful furniture. 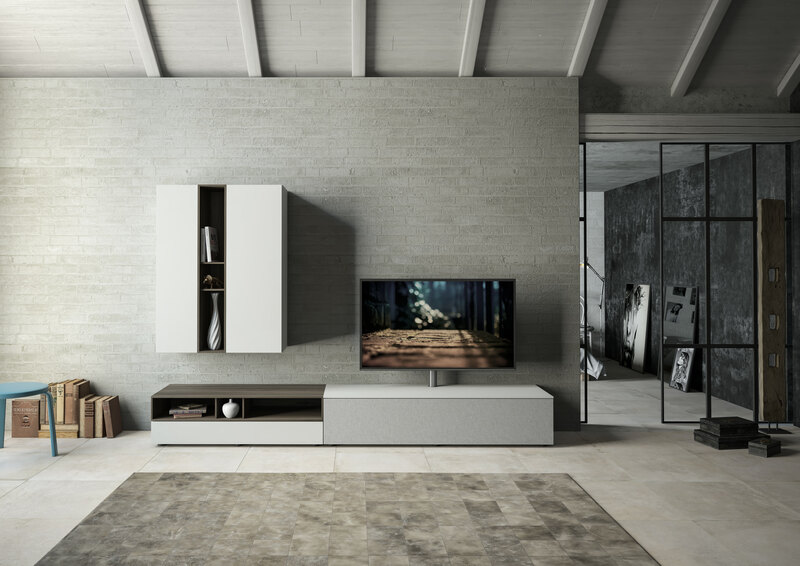 Spectrum, the manufacturer of the Next Series, has a high level of variation and can store your TV electronics based on your personal tastes and needs. You do not have to do without the your digital every day life with this furniture: smart devices are smartly supported by a smart set-up. That Spectral designs freely configurable furniture systems, which are functional and look good but also ensure flexibility, is no longer a secret. We have already introduced the Ameno series. The new Next series are now upmarket entry mats, which are characterized by their integration into the digital era and are characterized by their minimalist design. But without anticipating too much, we present the furniture from an aesthetic and technical point of view. With the premise that smart furniture adapts to you and your apartment, the individual Next modules were designed absolutely flexibly. The furniture line is characterized by a modular structure, which means that you can freely design what best suits your needs. This naturally begins with the question of whether you want a hanging shelf or a lowboard, and even in the standing version, you can still choose between height-adjustable feet and feet. In addition to two depths and three heights, you can choose from a variety of colors and materials. Whether as a TV table, living wall or sideboard – the Next furniture in a noble look fits in every room. Finally, there is still the question of whether doors, drawers or doors are suitable for you, and whether the furniture should have cover plates, add-on elements or shelves. All these possibilities in common is that high-quality material is used. 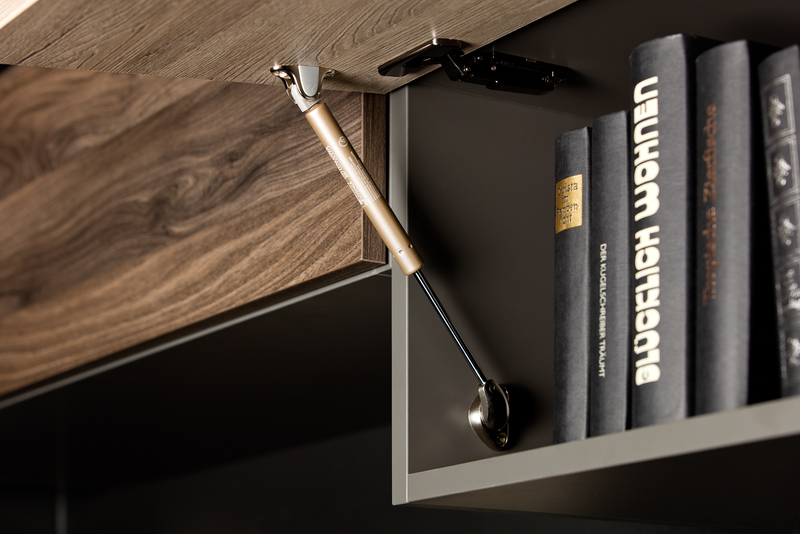 So that no handles can be distracted from the tidy design, the push-to-open mechanism was used for the flaps, doors and drawers. Incidentally, the film surfaces have a laser edge. One of the most important characteristics of a TV furniture is, of course, that your cables do not disturb, but nevertheless fulfill their purpose. This means that you are relocated in the furniture and nevertheless the storage space you need is offered. This is done using cable ducts. Depending on the need, the question must be clarified whether you want your furniture with or without media integration. 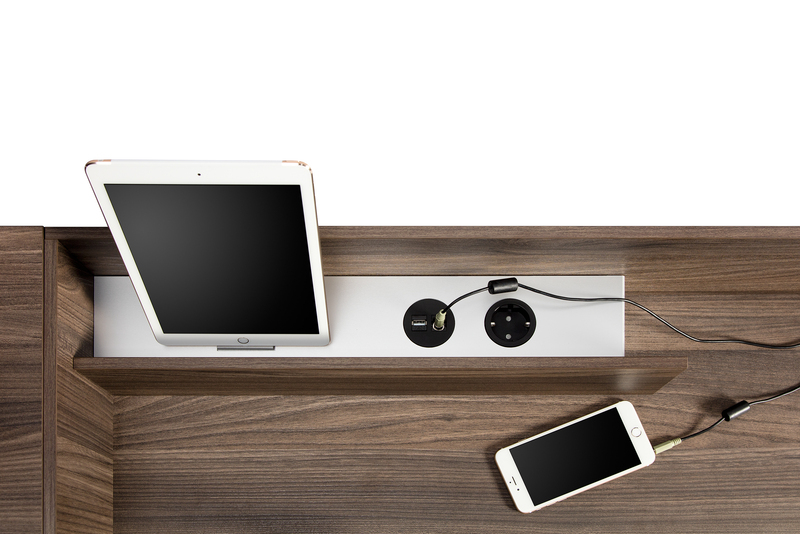 With the Next Möbelsystem you are offered the option of wireless charging your smartphones – simply unplug the phone and charge it by induction. The charging module can either be integrated directly into the cover plate or into a docking station. The latter option in your furniture is a good idea if you want to connect your mobile device. This allows you to easily transfer content such as images and music to your TV or sound system. 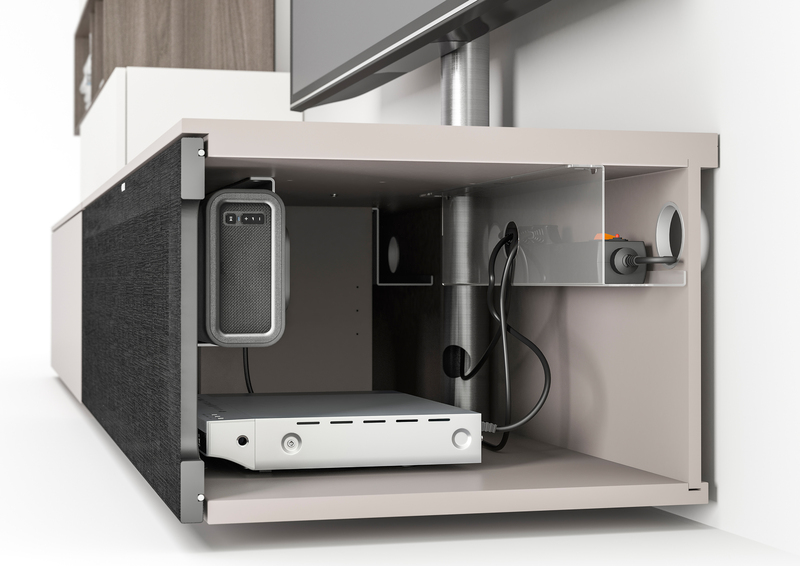 It is important to note that not only your cables but also the connections of the docking stations are hidden in order to remain true to the line of clean surfaces. True to the slogan of the Next Möbellineie, these slots can also be selected variably. It is recommended to integrate a slot to charge your devices. Other options include USB, HDMI, mini-jack connectors or an electrical outlet. By the way, the docks can simply be pulled out to replace or retro-fitted. The bracket for the TV is rotatable and guides the cables inward. In addition, the Next furniture has the possibility of holding fixtures for your soundbar, for example from Sonos or other manufacturers. An opening for a subwoofer can also be integrated into the floor of a Next piece of furniture. 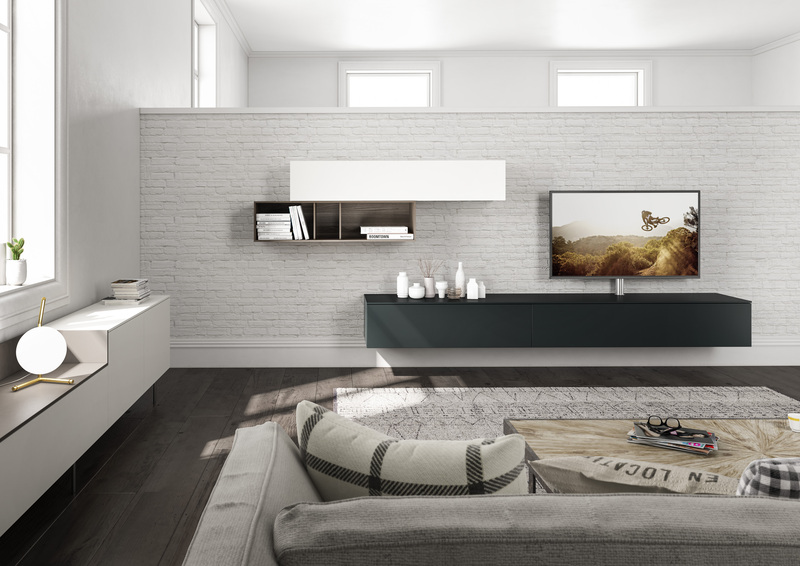 With the Next series, Spectral has created furniture that optimally stows your TV electronics and intelligently integrates your smart devices. So you can make your living room between puristic furniture comfortable and play your photos and videos from the smartphone on the TV, without being distracted by cables. In the near future, the new furniture will also be available. We would like to welcome you in our demonstration, so that you can make your own picture of it.